Is the public debate on climate change turning a corner? When I started this blog in late 2009, things were not good with climate change in the media: the UEA/climategate emails had just been leaked and COP15 in Copenhagen didn’t go so well. A couple of years before that, though, I felt that there was quite a lot of optimism. IPCC AR4 and the Stern Review had made a real splash. It felt like there could be some significant, global action on climate change. But that didn’t happen. However, maybe we’ve turned a corner in the last week or so. 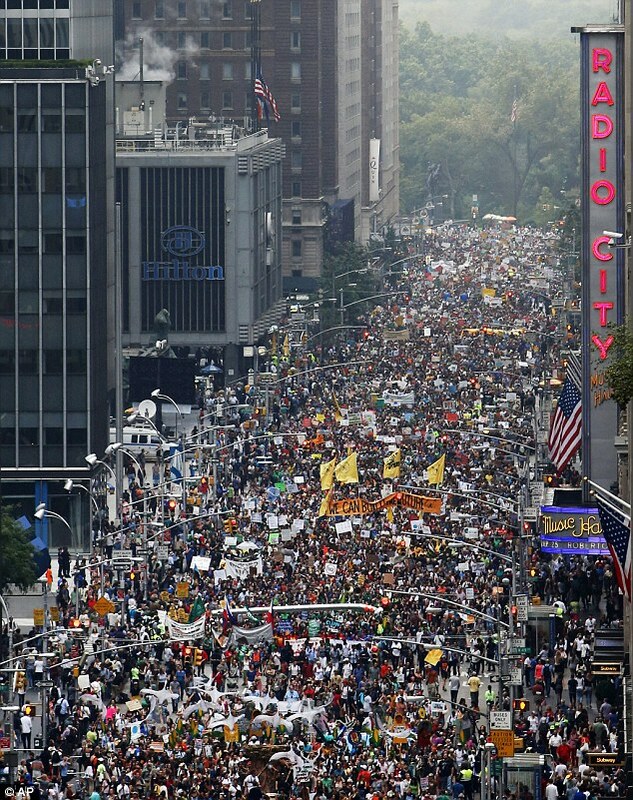 The obvious focal point is the really successful People’s Climate March, which took place at many locations around the world and attracted far more people than were estimated in advance. I went along to the London one and there was a good atmosphere and loads of people, somewhere between 20,000 and 40,000 according to different estimates. I think the prediction beforehand was for around 10,000 people turning out. But that’s not the only positive news. The Rockerfeller family have decided to withdraw their investments in fossil fuels. The Guardian describe this as a big “symbolic boost” for the fossil fuel divestment movement in general. I suppose I should investigate our investments at Brunel University and see if we can do anything on this front as well. The facts of climate change are not in question anymore. Everyone understands climate change is occurring, and the people who oppose it are really hurting our children and our grandchildren and making the world a much worse place. And so we should not be aligned with such people — they’re just, they’re just literally lying. So hopefully this means that there’ll be lots of people watching the UN Climate Summit today and expecting something positive. I won’t be holding my breath but I’m feeling more confident than I have done for a few years.